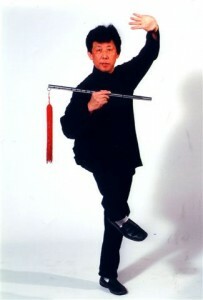 Founder & President of The Australian Academy of Tai Chi & Qigong and The Feng Shui Academy of China. Grandmaster Khor is a man of many talents, not the least of them being sublime skills, a deep well of knowledge, dedication and a great belief in the benefits of Tai Chi, Qigong, Feng Shui and associated Chinese health arts. This has given him a high ranking in the Tai Chi world, recognised not only in Australia, but also in China, where he is held in great esteem. His Tai Chi journey started many years ago – not always an easy one that has grown out of the tenacity and dedication which is forever present. Born into a traditional Chinese family, Grandmaster Khor had an early introduction to all the aspects which were to become a major part of his life. Ask him, for instance, when he started doing Tai Chi and he will tell you “On my uncle’s shoulders”. Tai Chi, Qigong, Feng Shui, diet/nutrition and other traditional Chinese skills were almost unconsciously absorbed, not from ‘learned discussions’ but through the normal, everyday activities. When any of these subjects were talked about, he knew it wouldn’t be long before Chi was mentioned. Grandmaster Khor’s early fascination with his subject was to propel him into his life-long studies. 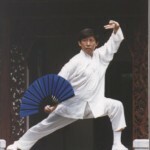 There were many interests throughout his childhood, particularly sport, but, as the years passed, Tai Chi became more of a purpose in Grandmaster Khor’s life and he spent time training in Taiwan, Beijing and Shanghai in order to increase his skills and knowledge. The next major step was coming to Australia to study in the medical/scientific field at the University of NSW, during which time he continued to extend his Tai Chi skills as well as introducing the art to friends. Interest slowly evolved and he decided to open his official class. Thus, in 1976, the Australian Academy of Tai Chi was born. Those early days were not easy. Although Tai Chi was popular, in general it was difficult to gain acceptance for this gentle, non-physical art from such a sporting nation. However, with determination and inner strength found through Tai Chi, Grandmaster Khor never lost sight of his vision to pass on to Australians the physical, mental, emotional and spiritual benefits of his art. He saw a troubled world that needed not more tension or competition, but the peace and tranquility that participation in these arts can bring. Grandmaster Khor’s success in introducing Tai Chi and related arts to the average Australian, earned him great respect in China, both from the keepers of traditional culture and from the government. It was at the time when China was just opening its doors to the world and wished to promote Chinese culture; it was a time also when many traditional masters were realising that their knowledge, if it was not to be lost to the modern world, needed to be shared. Grandmaster Khor was recognised as one of those people with both the capacity and ability to help them to achieve their ends. This respect opened many doors to traditional Chinese Masters who were prepared to share with him their knowledge and skills in Tai Chi, Qigong, Massage, Diet, Calligraphy and Feng Shui, an opportunity that was not wasted – there are many tales of often arduous study and training. As well as promoting Tai Chi, Grandmaster Khor scoured both China and expatriate Chinese societies in Hong Kong, Taiwan and south-east Asia for other traditional Chinese exercise skills. One art, discovered in Taiwan, was the Dragon Phoenix Fan – an art that had been lost to mainland China. 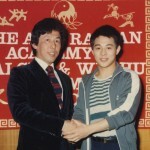 Grandmaster Khor was not only able to popularise Dragon Phoenix Fan in Australia but also re-introduce it into China, to great acclaim. Over the years, as public interest grew, he nurtured the Academy and watched it go from strength to strength, guiding its development into the leading Tai Chi school in Australia and the largest outside China. 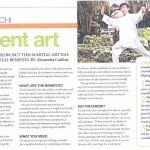 Through his efforts, teaching techniques have evolved that not only bring Tai Chi, Qigong and other associated Chinese health arts within the grasp of westerners which have brought recognition from the masters of China that new methods can be used to attain full potential of these centuries-old exercises. From 1976 until present day, the growth of the Academy has gone hand-in-hand with the growth of its Founder and President. 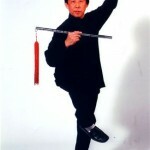 In 1989 he was made an international Wushu judge and, in 1997, received the ultimate accolade, elevation to Grandmaster. 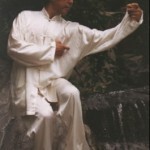 With Tai Chi firmly established in Australia, books and videos selling internationally and with regular appearances in the media, Grandmaster Khor still believed that only the groundwork had been laid for the understanding and incorporation of traditional Chinese practices within everyday Australian life. The next phase was development of the ‘Living Chi’ program – knowledge distribution via workshops and ultimately through the ‘Living Chi’ book. Meanwhile, Grandmaster Khor had been studying yet another of the arts with which he was fascinated, Feng Shui. This led to him becoming one of Australia’s leading consultants, as well as the knowledge being spread through regular articles and columns and through his book ‘Feng Shui for Personal Harmony’. From teaching a handful of friends, Grandmaster Khor has been the inspiration for the 100,000 students who have passed through the Academy. We have him to thank for access to the skill which, throughout the centuries, have been nurtured and passed on only to those worthy of their secrets. Due to Grandmaster Khor’s knowledge and research, these secrets are now freely available to us all.